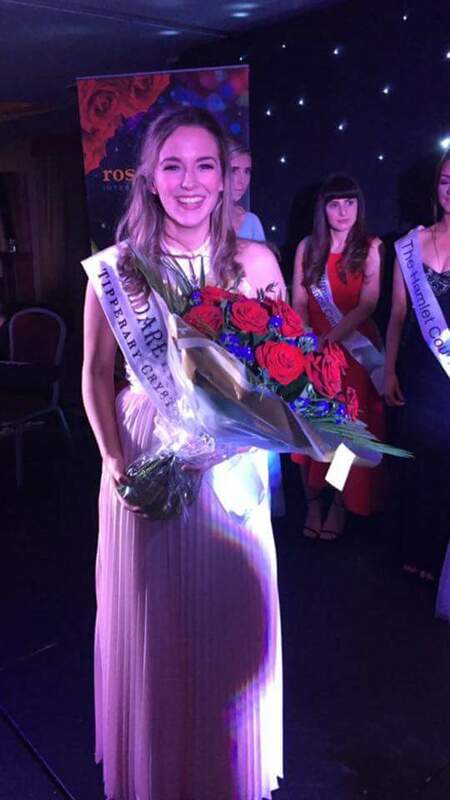 Kilcock woman Deirbhle Mulvihill was named as the 2017 Kildare Rose at The Westgrove Hotel Clane on Saturday night last, 15th April. Deirbhle who plays as a corner forward for the footballers of Cappagh and teaches Geography and Business at Clongowes Wood College will now represent County Kildare at the Rose of Tralee festival in The Dome, Tralee next August. Deirbhle’s family and friends didn’t waste any time in swarming the stage, with her father Niall showing his pride and emotion with an abundance of hugs and kisses. The former student of Mulhussey NS County Meath and Scoil Dara Kilcock wowed the crowd and judges with her party piece, a tune on the tin whistle, her gift of the gab and of course the way she carried her natural beauty throughout. Deirbhle was sponsored by Marron’s Pharmacy in Clane.